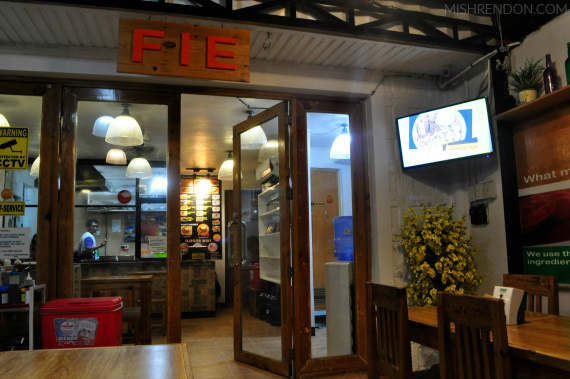 For authentic Ilocano dishes, there is no other place to go here in Metro Manila than Fariñas Ilocos Empanada (or FIE). With more than 15 branches all over Metro Manila, Batangas, and Cavite areas (six of which are open 24/7), you can get your Ilocano cuisine fix right away. And for those coming from Ilocos, I am pretty sure these dishes would make you feel at home. 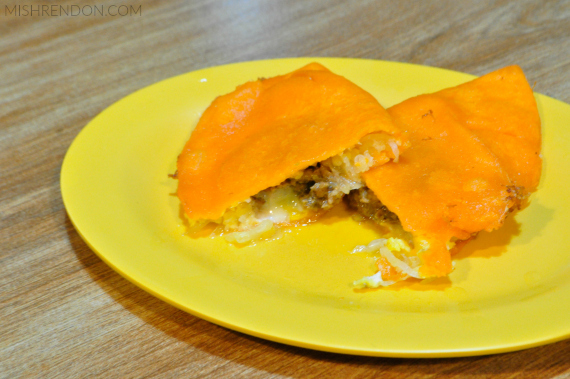 I know that the first thing that would pop up your head upon hearing Fariñas would be their famous Ilocos Empanada. But there's actually more to FIE than their empanadas. During a recent visit at their Malingap branch, we were able to try out their newest offerings. FIE is taking part in the salted egg craze with their Salted Egg Pancit Bagnet. This is basically a remake of their famous Pancit Bagnet dish. This set feeds two persons but the serving's quite generous that it would be perfect for three persons. I love how subtle the salted egg is in this dish. Usually, salted egg has a very strong taste but this did not overpower the pancit. Another new dish that they are offering is the Salted Egg Bagnet with Rice. I absolutely love bagnet and salted egg but I've never tried them together. Honestly, I was scared that the combination was going to be too salty. But to my surprise, this dish was perfect! It wasn't salty and the two ingredients actually went well together. It is also perfect with rice to balance things out. Make sure to come in hungry because you might want another serving of rice. For big groups, their Bilao Fiesta Meal is your best option. This set that could cater to 5 to 6 persons would surely leave no one hungry. 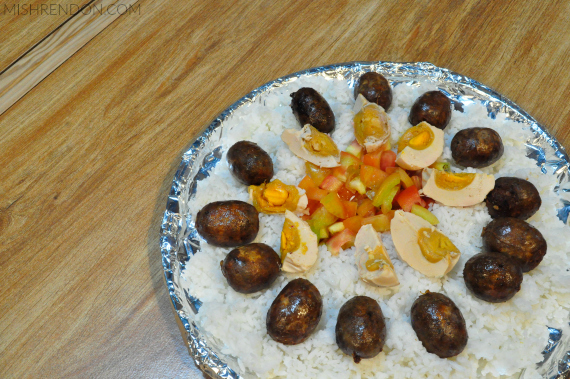 It has generous servings of Ilocos longganisa, salted eggs, fresh tomato slices, and a whole lot of rice. By the way, the longganisa used in this dish (and also the ones placed in their Ilocos empanada) are fresh from Laoag. They are shipped daily via the Farinas Bus Lines which is also owned by the same family so you are assured that everything used in their dishes are authentic and fresh. We didn't pass our chance to try out their famous Ilocos empanada. We were able to have a taste of their special variant which consists of eggs, longganisa, and vegetables wrapped in a crispy coating. This dish has never disappointed me and it always satisfies my cravings. I have noticed too that it always tastes the same every time I pay them a visit. I think it's because their cooks are all from Ilocos who have mastered making the dish already. 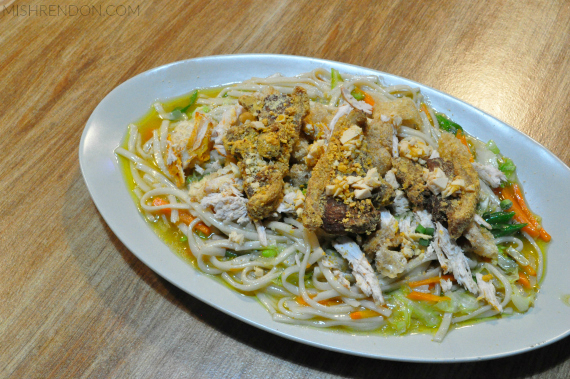 We ended our meal with another serving of their original Pancit Bagnet. I can't tell if I like the one with salted egg or this one because they both taste great. Not only is their serving generous (this one is good for two! 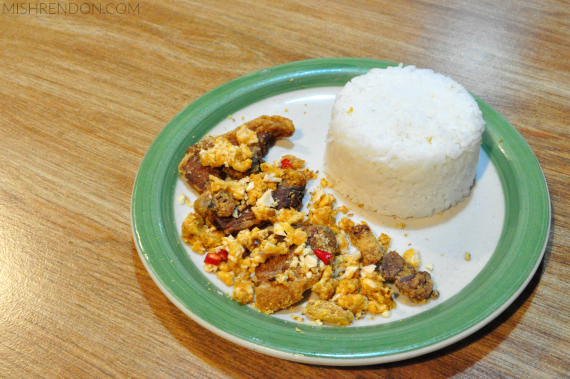 ), but the toppings such as the bagnet, chicharon, and vegetables are also overflowing. 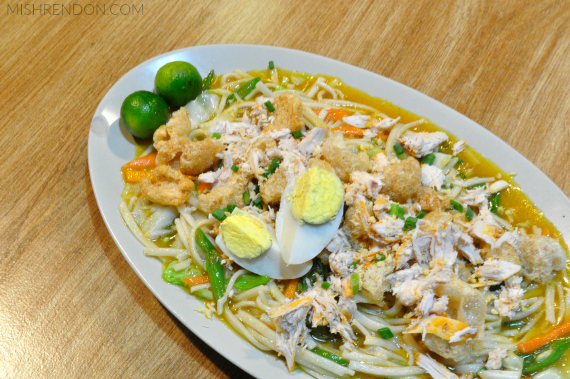 You can definitely get your Ilocano dish cravings satisfied here and also your money's worth! 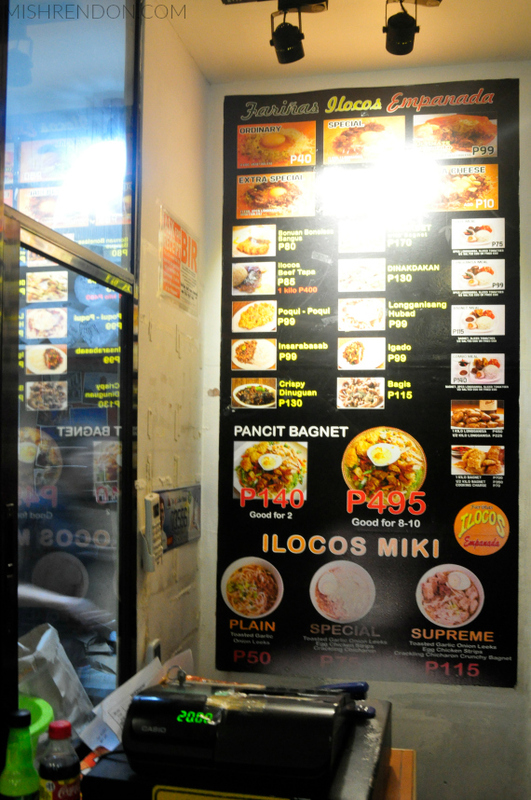 Aside from launching new dishes, Fariñas Ilocos Empanada has recently announced that it is now open for franchising. Franchising costs P800K which is quite a decent price for a brand that has already established its name and quality. For more details about this, you may contact Hazel at 09178437078 or fiefranchise@gmail.com.